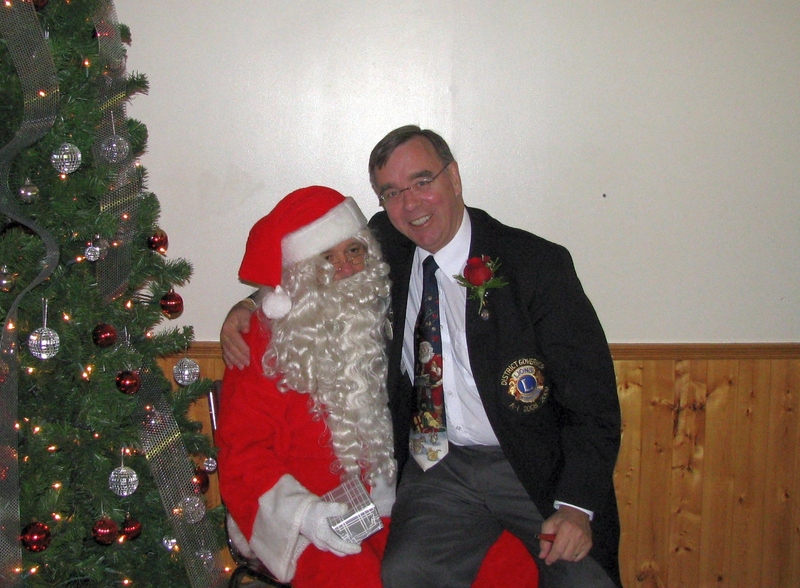 District Governor Don McKessock was invited to sit on Santa's (A.K.A. Lion Art Parkes) knee at the Lions Club of Petrolia's Christmas party. Governor Don said he had been a good Lion all year long.